Discover the inositol and bipolar connection! Many so called natural cures are just Internet snake oil. However inositol is one dietary supplement that even conservative medical experts agree to have positive benefits, although the inositol and bipolar connection is confusing. Although it has shown effectiveness in conditions associated with bipolar disorder, the value of inositol for treating bipolar itself is unclear. What do we know about inositol and bipolar? 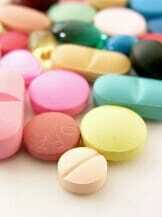 Research has shown a lack of inositol in bipolar patients. Research has also shown that supplementing with inositol reduces some bipolar symptoms, for example depression. It also is effective in common comorbid conditions such as panic disorder and OCD. So why such positive benefits with inositol and bipolar? Inositol is a naturally occurring isomer of glucose It is classified as a member of the vitamin B complex. Sometimes people refer to it as B8, but it is not really a vitamin itself. Inositol is a natural chemical compound present in the human body and in certain ordinary foods.It is direct precursor of phospholipids which are a major component of cellular membranes. Phospholipids are fat-soluble, naturally-occurring molecules that help make up our cellular structure. 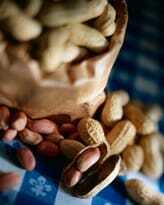 Both inositol and the phospholipids play a major role in signal transmission for many neurotransmitters and hormones. There is growing evidence that lithium and fish oil may also exert their beneficial effects by regulating these same signal transmissions. Inositol is important for regulating serotonin and insulin, and breaking down fats and reducing blood cholesterol. There have been several clues alerting researchers to the connection between inositol and bipolar. Another clue to a connection is that inositol plays a major role in the same brain and nerve systems that respond to mood stabilizers. There have also been reports of reduced inositol in the cerebrospinal fluid (CSF) of some bipolar people. 1. A 1995 study showing improvements in unipolar and bipolar depression. 2. A 2001 study showing inositol to be as effective as fluvoxamine (Luvox) for the treatment of panic disorder. 3. Another study proving inositol helps in panic disorder, this time from 1995. 4. A 1996 study showing inositol is effective in depression, panic, and obsessive-compulsive disorder. Or there is one giant mega-study, Inositol as a treatment for psychiatric disorders: a scientific evaluation of its clinical effectiveness. This mother of all studies collates the research and summarizes a lot of the current evidence on the benefits of inositol. It comes out in favor of using inositol for depression, OCD and panic disorder, but is not able to draw a conclusion where bipolar disorder is concerned. The inositol and bipolar connection seems to exist but is still unclear. 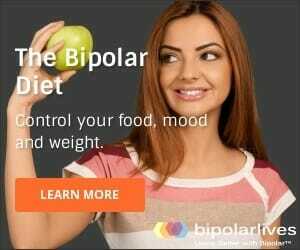 SINCE THIS PAGE WAS ORIGINALLY CREATED, I HAVE FOUND MORE RESEARCH THAT SUGGESTS THE OPPOSITE MAY BE TRUE, AND THAT SUPPORTS A Low inositol diet for bipolar disorder. Inositol is naturally present in our bodies and in fruits, nuts and cereals. The normal diet usually contains approximately 1 gram per day of inositol. The therapeutic level required to obtain the benefits we have described for inositol and bipolar is 6-20 grams per day, with 12-18 grams probably being the range to shoot for. Inositol is present naturally in citrus fruits such as oranges, and in nuts, seeds, cereals with high bran content, and legumes. It is a great idea to increase your consumption of these foods. However, it is impossible to get 12-18 grams per day of inositol through eating nuts and oranges. It will be necessary to take an inositol supplement. These can be purchased online or at your local health food store. It often comes in a powder which can be sprinkled on food, mixed in juice or with water, or just eaten directly. Capsules are also available. Start with 500mg per day and increase slowly to 12g over a period of 4 weeks, going up 500mg per day. This will give your body a chance to adjust and for you to see how inositol effects you. Then try the 12g dose for 3 months and see if you experience positive benefits. You may then wish to increase further to 18g. You can also cut back a little – fine tune it so that you get the optimal result for you. Some people have resulted positive results with as little as 2 grams. Are there any side effects to watch for, and might these outweigh the benefits for inositol and bipolar? Inositol is water soluble. This means that even at the high end of the dosage range (say 18 grams), it will not build up in your body and become toxic. Any used inositol is simply excreted by your body in the normal way. The main side effects are are a bit yucky but nothing dangerous – gas and diarrhea. For some people this never happens, for others the side effects clear up after a few days once the body adjusts. Some individuals don’t experience these side effects until they start getting towards the high end of the dosing range. They could try cutting back and, just with all medication, try to find that “sweet spot” with maximized benefits and minimized side effects. Some side effects may actually be positive. There is speculation that through regulating serotonin, inositol may improve sleep and relieve insomnia – always a big plus or bipolar people. However, this is just a guess – so far there are no clinical studies to prove this. CAUTION TO PREGNANT WOMEN: Inositol may cause contractions because it has an intimate relationship with oxytocin, a key uterine stimulator. There is controversy over the evidence, but this is too important to gamble on. We strongly urge women who are or could become pregnant to consult a doctor before taking inositol. Other than the risk for pregnant women, the side effects are mild and do not seem to outweigh the benefits of inositol for bipolar disorder. Some websites say that lithium and inositol should NOT be taken together but do not provide a reference for this information. Ignore it! This is not true. 1. A 2006 study reported that among 17 bipolar patients already on lithium or Depakote, compared with those on a placebo, there was a trend for more subjects on inositol to show improvement in depressive symptoms; this was especially true in those with high baseline levels of anger and hostility. This means that even if you are already getting a positive result from lithium or Depakote, there may be added benefits of inositol for bipolar disorder if you take it in combination with your existing medications. 2. Treatment with lithium can trigger or worsen psoriasis. In a 2004 double-blind study, supplementing with inositol (6 grams per day) for ten weeks significantly improved lithium-induced psoriasis, but had no effect on psoriasis in people who were not taking lithium. So researchers are working with people taking both inositol and lithium and finding there are still benefits of inositol. It is not true they cannot be taken together.